This is one of the most populated beaches in Nanaimo but it’s not populated with rock hounders. Beautiful sunny, windless morning. In more populated areas, people usually stop to ask me what I’m looking for. “Rocks!” I always reply with a smile, which often gets a politely approving but mostly confused response. 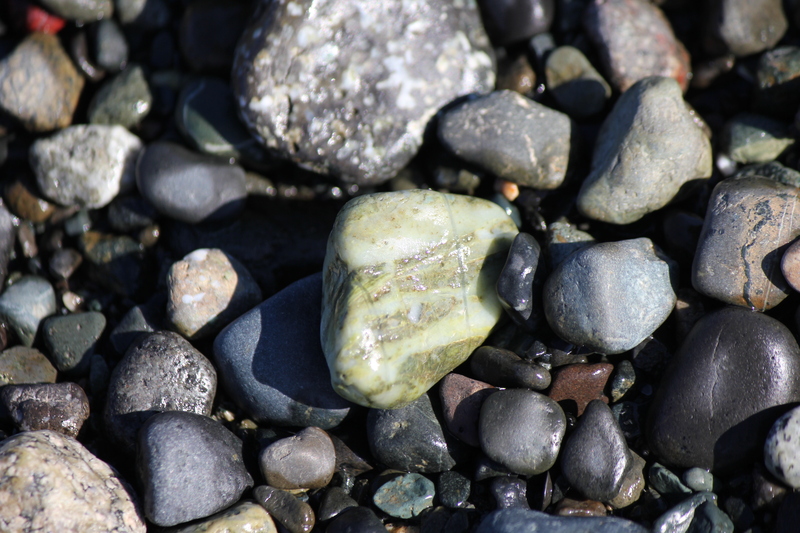 A green and white beach rock that I will stick in my rock tumbler sometime. 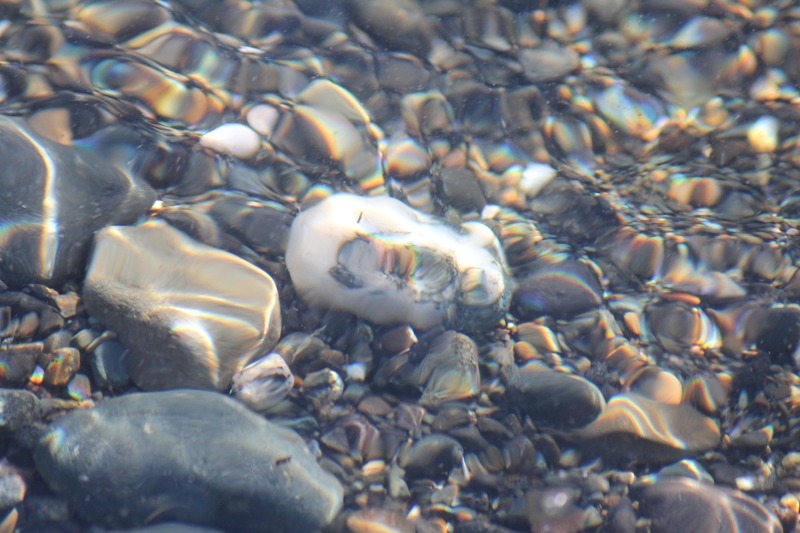 Lots of these guys on Vancouver Island beaches. I met one old fellow who told me his father used to polish Flowerstones. I told him there were Flowerstones on this very beach but he didn’t seem to believe me. A piece of Dallasite jasper on Vancouver Island. The bright, stark colours of Dallasite really make it pop. Today, I was rockhounding while a couple of women and a child walked by. The young boy was trying to tell his mom about the rocks he was finding, but she wasn’t interested. He was describing the colours and patterns but she didn’t care. I’m a private guy and usually don’t want to stop for small talk, but I did kind of wish one of them asked me what I was looking for, as I could have told the kid he was on the right track. 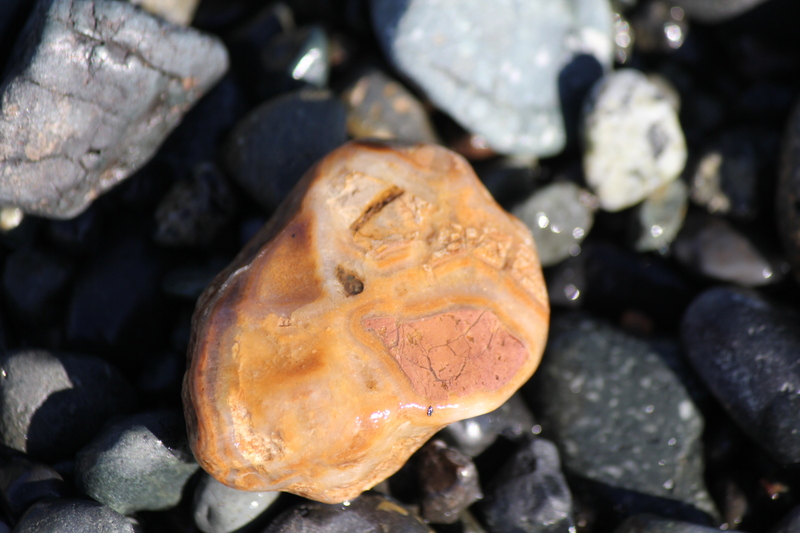 One of just a few agates I’ve found on the east coast of Vancouver Island. This one shows clear agate banding but may have jasper, chert and quartz in it as well. Hope to find more. Oh well, glad to leave the rocks for me. Few people here seem to realize how gorgeous the rocks on our beaches are. I’m fine with that. I’m glad to be a lonely rockhound. I’m lucky to have a rockhound and adventurer for a girlfriend, and that’s all the crowd I want out there. Beautiful agate! Oh boy, I can’t wait to find one just like that. A couple years ago I found a amethyst crystal on that very beach. I figure it had been dropped there by someone cleansing it in the ocean most likely. However it got there, I was grateful to have found it! i recently found a bit of amethyst on a trail on mt. Benson and was also grateful to have found it; also excited about the possibility that it came from somewhere nearby! Hi all a new rockhounder here. Are any of you willing to share what beach this is? 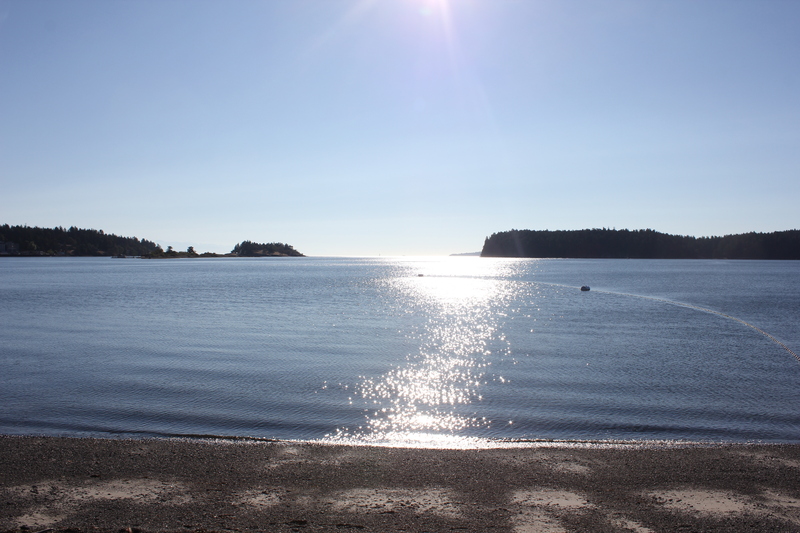 Hey Mike, this is Departure Bay beach in Nanaimo. Good luck! Ladysmith rockhound, also forest engineer. So sometimes I get to find the parent rock in fresh roadcuts!